Extras are hired for commercials, photographic stills, music and corporate videos, television productions and feature films. Models Direct represent extras across the UK of all different looks, abilities and experience. A commercial producer might be looking for a selection of extras to push trolleys around a supermarket, while a director might need an alien-looking extras to be in the background of a sci-fi film, or some younger extras to be in a bar scene of a commercial or soap episode.. When clients are looking for a small group of extras or artists for walk-on parts, they might hold a casting. However, if they require a large amount of extras they will simply telephone an agency requesting numbers and giving specifications of types they require and location of the shoot, which is where the Models Direct team step in and coordinate this to happen. Models Direct have supplied extras to many clients for different project across the UK. 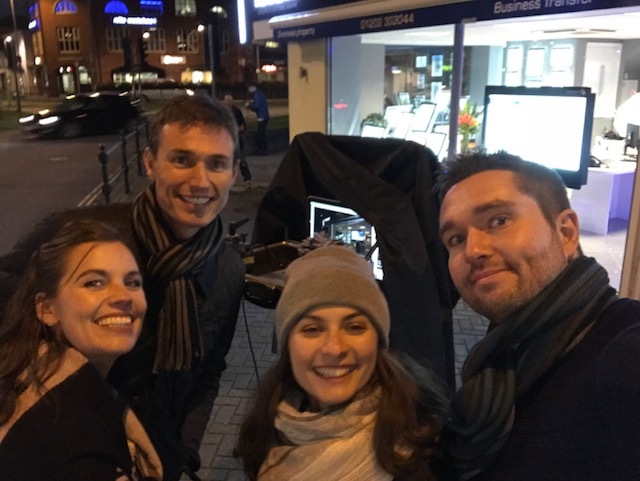 Recently the assignments team worked with a very large tech company who required 20+ extras for a new commercial they were filming. The extras were to be in the background pretending to be at a party, laughing, talking and generally enjoying themselves – pretty easy assignment! And they were paid for it!